Gaming Community for Parents & Adults ~ Average Birthday Age: 36! Home > Gaming Community for Parents & Adults ~ Average Birthday Age: 36! Sometimes, we are met with disbelief when it comes to our claim that we, a gaming group active since 2007, can truly garner an older age of gamers so readily. When we write, “Clan for Adults,” what does that mean? We certainly don’t beat folks over the head with rules, ever-increasing restrictions during the registration process, or even mind-numbing probation periods. Do you know who needs such unfriendliness? Clans that don’t actually have a culture of mature, casual gaming. The proof is in pudding, as they say. Let’s take a snapshot of the birthdays happening right now (April 30th to May 6th, 2015) within the Gunslingers community. In the present time range, there are 41 of our members blowing out candles. The average age of those members is thirty-six. They, like the rest of the Gunslingers, know the demands of parenthood, full time work, mortgages, rent, and other obligations that only a fellow adult can understand. The Call of Duty: Advanced Warfare Clan for Adults. The Battlefield: Hardline Clan for Adults. The Titanfall Clan for Adults. The Borderlands Clan for Adults. The Diablo 3 Clan for Adults. The Mario Kart 8 Clan for Adults. The Super Smash Bros Clan for Adults. The Splatoon Clan for Adults. The Destiny Clan for Adults. The GTA V Clan for Adults. The Call of Duty: Black Ops 3 Clan for Adults. The XboxOne Clan for Adults. The PC Clan for Adults. 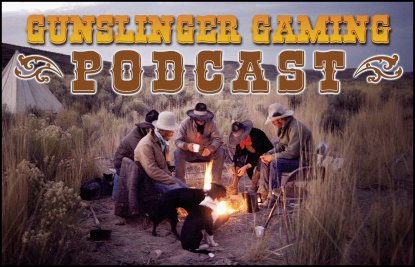 Gunslingers – Blazing Trails for Parent and Hard Working Adult Gamers Since 2007. Previous Post: Mario Kart 8 Stats Calculator with DLC Pack #2 Character, Vehicle, Wheel, & Glider Stats! Next Post: Inkslingers ~ The Splatoon Clan for Adults!